If you own or operate Iridium equipment, Cloudloop will provide you with single place to manage your contracts and analyse your usage. We offer low-cost tariffs, a web-based interface and a fully featured API. 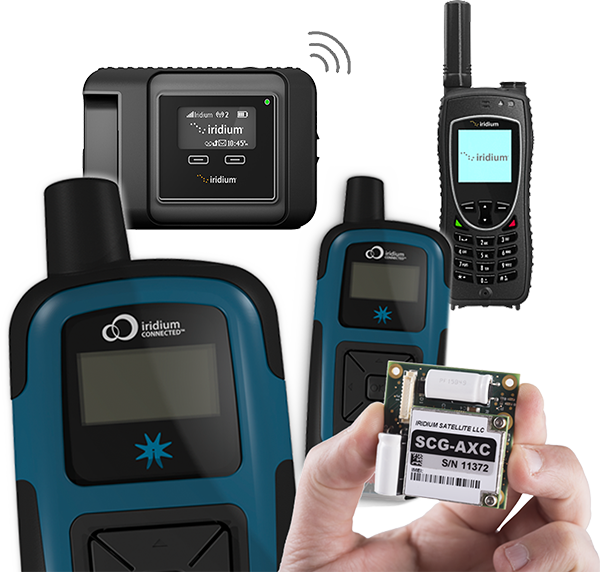 Cloudloop supports Iridium satellite phones such as the Iridium Extreme 9575, Iridium SBD devices, and the Iridium GO! It also supports RUDICS and Iridium dial-up data services. Custom tariffs are available for specific projects and volumes - please ask! Moving your Iridium devices to our tariffs is easy. For SBD devices, we will just need to know the IMEIs of the devices you have, and we can organise the swap. If they are with another provider you will just need to ask them to deactivate any current contracts, and they can then be immediately activated on Cloudloop. For Telephony devices, we will need to send you a new SIM card. You can remove the old SIM, insert the new one, and that's it! We believe our tariffs are the best in the industry, and we have a modern platform from which you can manage all your devices. You can save money AND make your life easier at the same time. 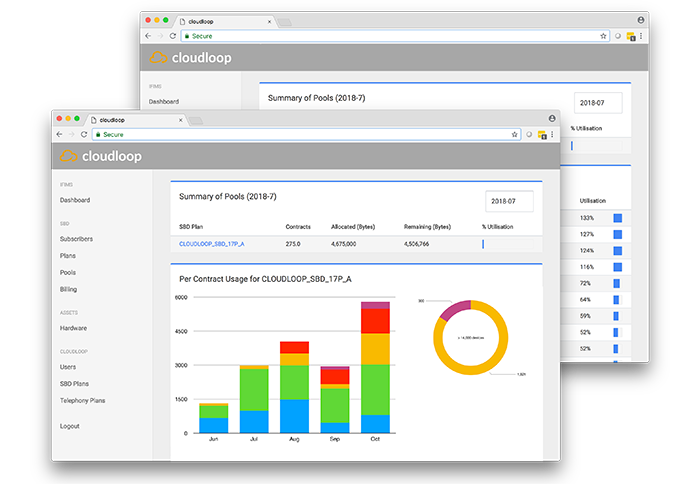 Cloudloop makes it easy for you to see how many minutes your phones are using, how much data you have left on your SBD plans, and what your current billing looks like. Analyse the data, set allowances, review alerts where users have gone over a pre-specified level - you're in control. See your overall usage, and current billing information via the portal. View each device's usage, via the portal, at any time. Set alerts to let you know when your devices are nearing their allowances. Choose how you would like data delivered from your devices. Interface your own system with Cloudloop, for seamless activations/deactivations/billing. Experienced, knowledgeable staff, who will get back to you quickly - no call centres. Easy to integrate with your system. Whilst some customers prefer to use the Cloudloop online UI, we make it easy for you to activate, suspend, deactivate and review billing information programmatically via your own system. Using our fully featured API, you can take full control of your Iridium contracts and billing and integrate it with your own platform. Hey Cloudloop, what's my usage this month? 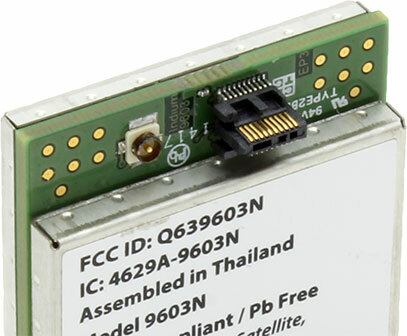 If you are looking to purchase Iridium equipment including 9602/9603 SBD modems, phones and other devices, please visit www.rock7.com or get in touch for a quotation. We can provide the full range of Iridium products, plus our own RockSTAR, RockFLEET and RockAIR tracking products and our M2M/IoT RockBLOCK range. Cloudloop is owned and operated by Rock Seven, a Tier 1 Iridium Reseller. We have been working with Iridium for nearly 10 years, and have extensive experience with commercial and government customers, as well as NGOs, charities and the scientific community. In short, you are in safe hands. Please get in touch for more information or to setup an account - we are here to help and assist. For large fleets we are often able to create custom tariffs and pricing schemes, so do not hesitate to ask.